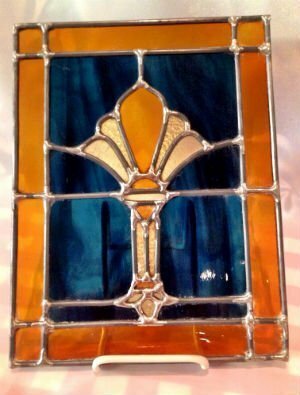 Gaye Brewer's amazing stained glass work can be found in prominent places around Paducah. If you've admired the bar window at Cynthia's Ristorante or the decorative header around the concessions stand at Maiden Alley Cinema, then you've admired Gaye's artistic ability! 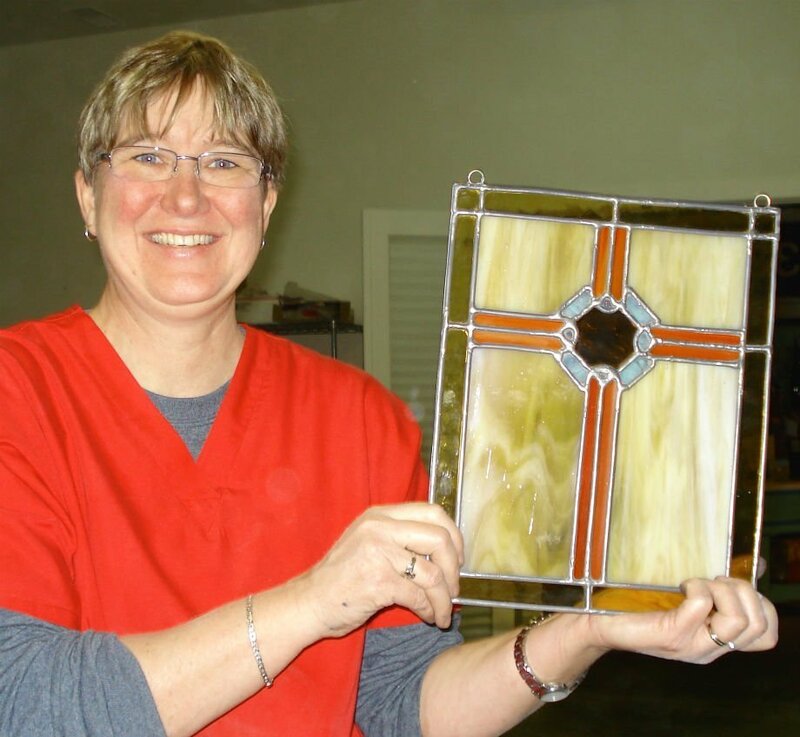 Gaye Brewer has been teaching Stained Glass at Ephemera Paducah for a number of years now, and her classes always sell out! She’s suggested a little different format for February’s Introduction to Stained Glass, based on student feedback and her experience teaching. It seems that once her students get started, they don’t want to stop! With a week between classes, gearing back up is hard and from time-to-time when one has to miss a class, 2 weeks away from it it is sad. We’re trying something new and maybe it’ll help with those wintertime blues! This workshop is going to meet 5-6 times in February on Monday AND Tuesday evenings. Class price is $195 plus $40 the first evening for the glass you’ll use in class. 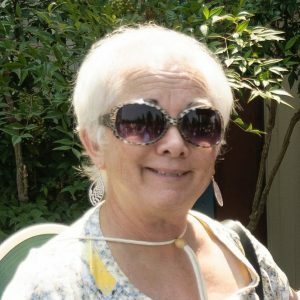 Gaye Brewer is a talented, patient instructor who makes sure you learn the fundamentals of this art form in an intimate class setting. Your class fee includes tools you’ll keep and use for future stained glass projects as well as all of the supplies you’ll need to complete an 8″ x 10″ piece. The first evening Gaye will provide beginner-level patterns for you to choose from. You will also receive a glass pack which will provide the foundation of the glass you’ll use, and you will have access to the Studio Stash for supplementary glass throughout the class. We know February can have bad weather. If the City of Paducah or McCracken County schools are closed the day of your class, your class will be postponed and Gaye will arrange a make-up day. Before registering for this class please review our Cancellation Policies updated September 2018.